Love this! 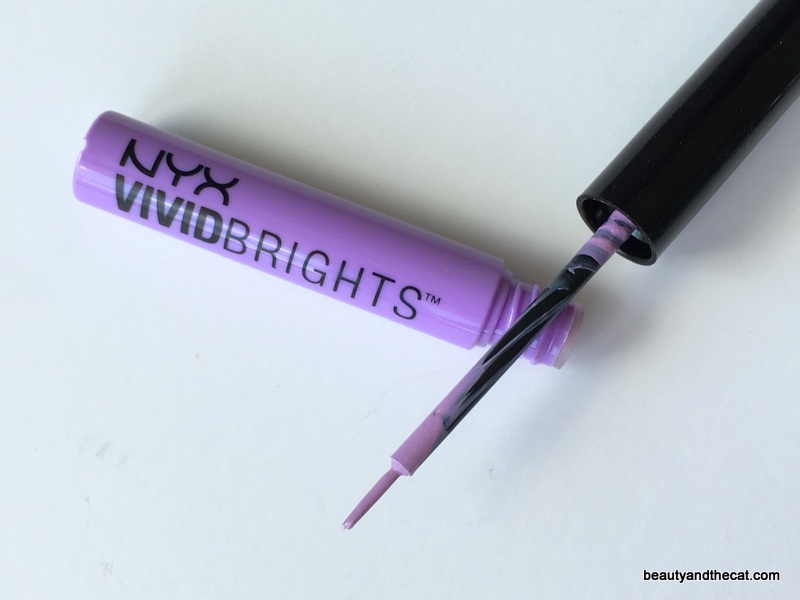 The pastel lavender goes on matte and opaque. 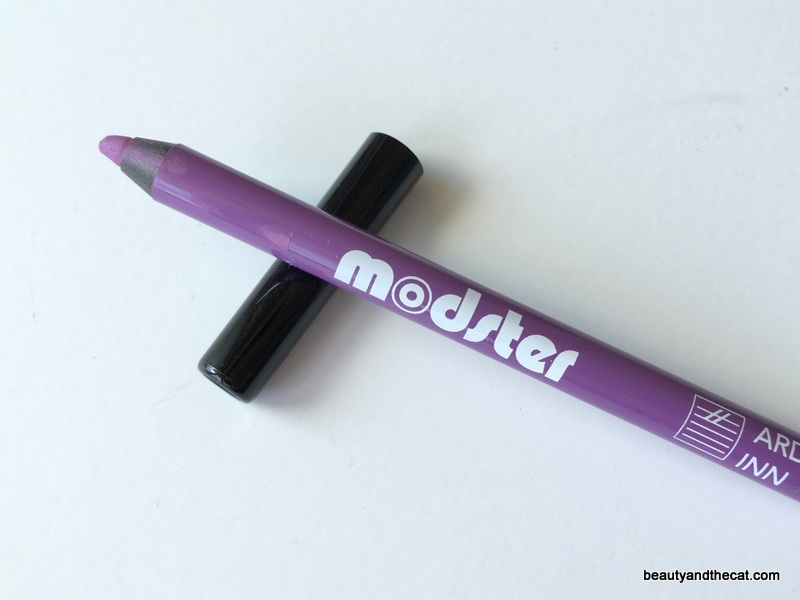 The matte finish can make skin look a little puckered, but the striking color outweighs that. Surprisingly, the cheap- and floppy-looking brush works pretty well and hasn’t splayed. Shake well first, and for a sharper line, wipe off excess onto the rim. Lasts for 12+ hours. Love this one as much as the NYX. It’s a shimmery, rich purple with mostly blue and purple microshimmers. Shake well and apply two layers for opaque coverage (let the first layer dry before going for a second). It stays on all day (12+ hours). 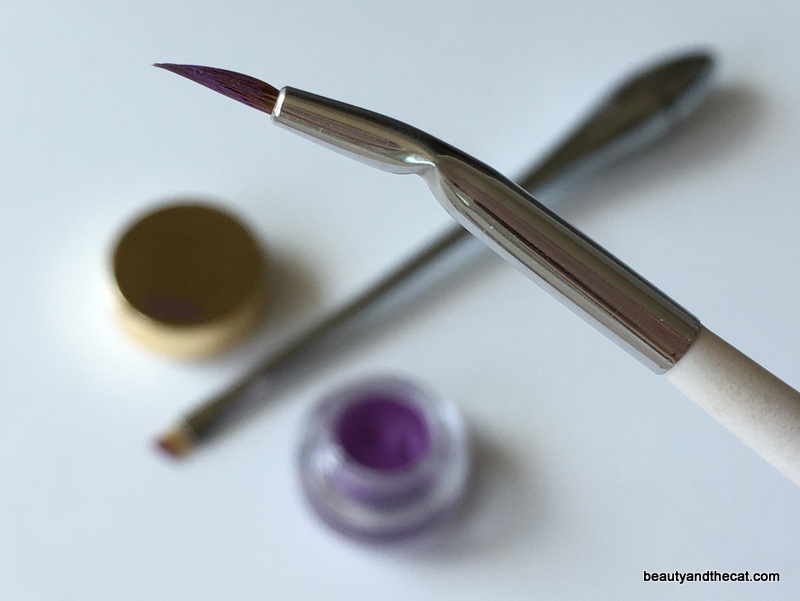 The felt tip is firm but slightly flexible; easy to control but hard to do a super sharp wing. 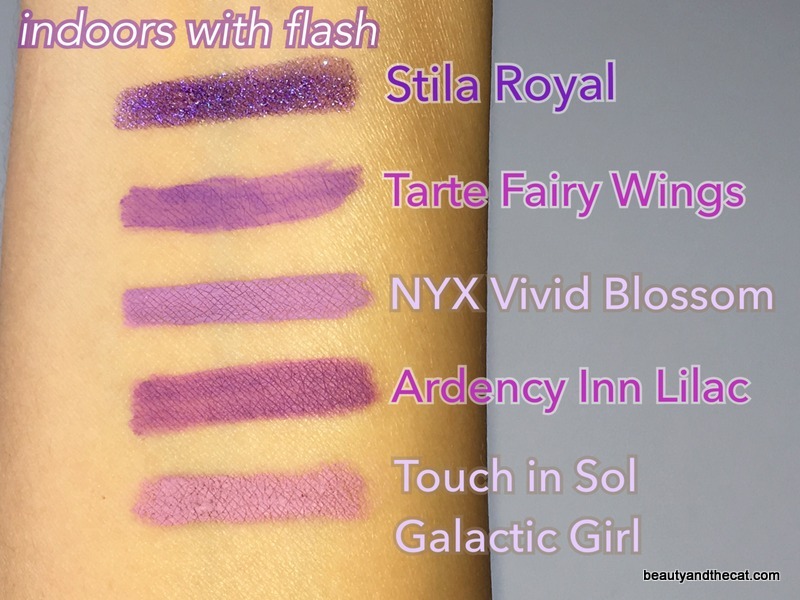 I only ranked it behind NYX Vivid Blossom because (1) it’s discontinued, (2) when it starts to come off, it comes off in flakes, and (3) the deeper purple isn’t as high impact as a pastel. This creamy gel would be wonderful if not for (1) the super short lasting power on hooded lids (only 2 hours! 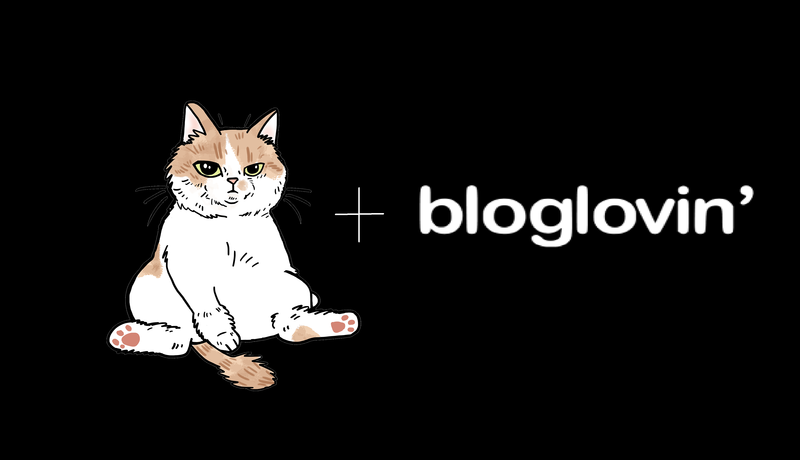 booooo) and (2) the need for multiple passes to get opaque color. 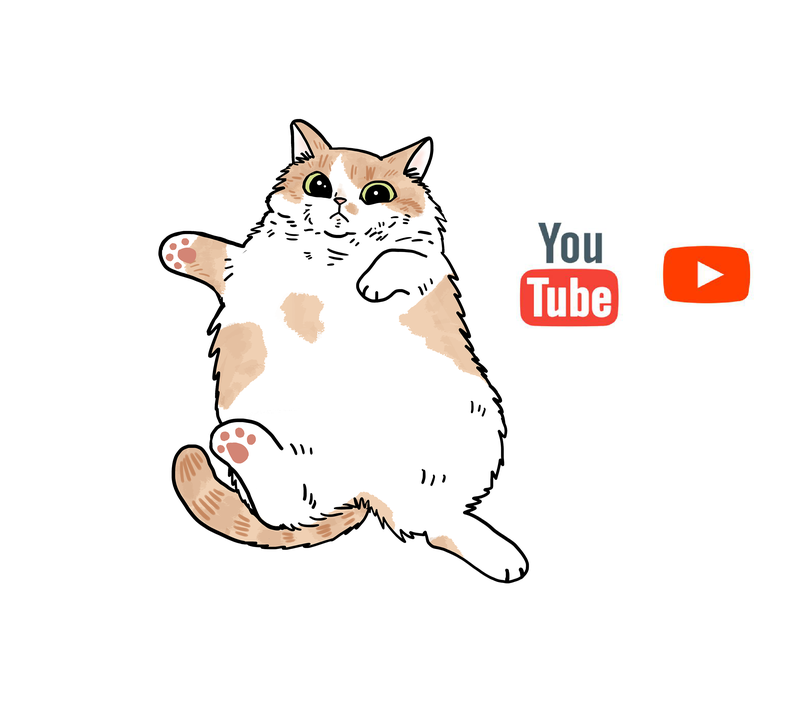 I can’t use this alone. Instead, I top it with an eyeliner sealer such as the Neogen Long Lasting Eyeliner Coating Serum, which extends the wear to 10-12 hours. I also like using a fine-tipped brush because the usual flat angled brush seemed to just push the formula around too much, leading to bare spots. Would not repurchase. Creamy texture applies pretty smoothly and with just a little pressure. Applies almost entirely opaque with one pass. As with all pencil eyeliners though, lasting power was only a couple of hours on my upper lid, but at least it just disappears and fades rather than smearing. A good option if you don’t have that problem with pencils. Separate sharpener required. Would not repurchase. Lighter and pinker than Ardency Inn Lilac. This Touch in Sol eyeliner was the worst one by far because it is unusable now. It initially applied fine with firm pressure, but now the tip is super hard (ahem), even after sharpening. 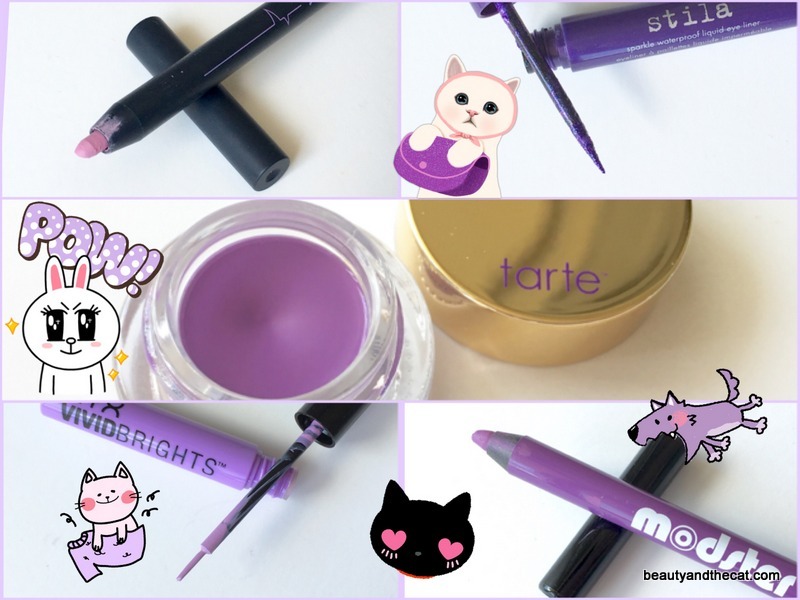 I managed to get an arm swatch for this post by swiping down really hard (and the swatch looks cakey because of that), but you can’t swipe that hard on your eyeball! Even when it was brand new and usable, it lasted only a couple of hours on my hooded lids. The only positives are that you can retract it up and down with a twist and that a sharpener is on the end. What are your favorite colored eyeliners? 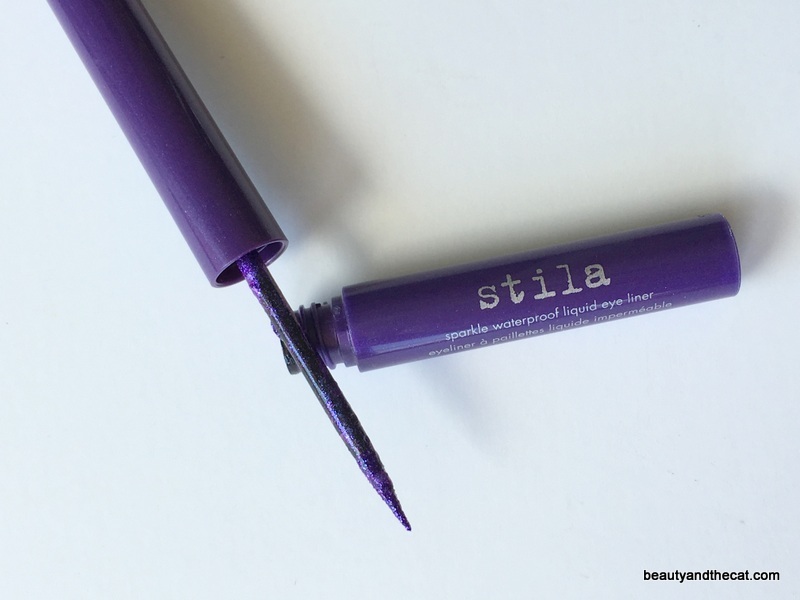 I have purple liners from Sephora brand, NYX, Prestige and Annabelle (a Canadian brand) but I’m really liking the look of that Stila liquid liner. Good to know that it’s long lasting! 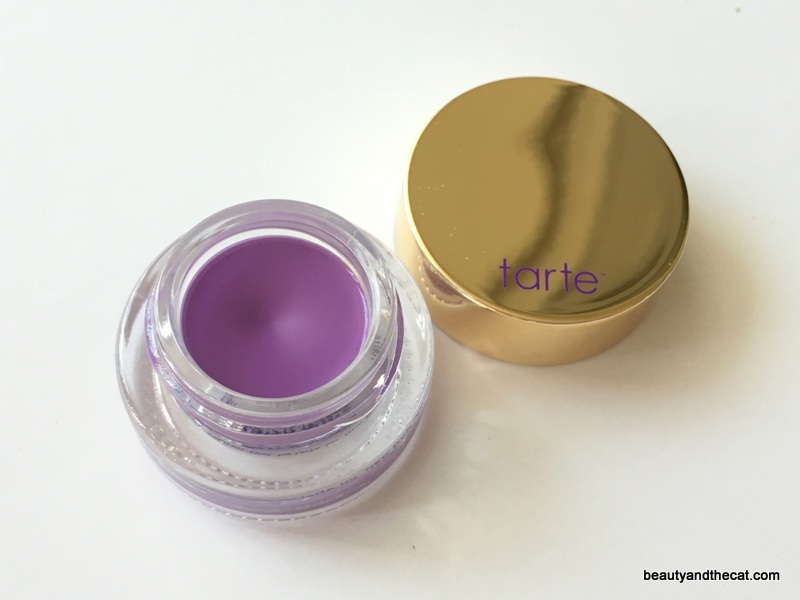 Also good to know that the Tarte and Ardency Inn aren’t long lasting – that’s always a challenge for me. Ooooh I love the NYX and Stila ones! I have many, although I can’t say I can pick a favorite. You’ve inspired me to try purple liner. I have a couple at home that I got as part of liner sets, but haven’t tried them. Yassss. 100x prettier than plain black liner. Oyyy, I am kicking myself for not picking up Stila royal when I saw it at tjmaxx. 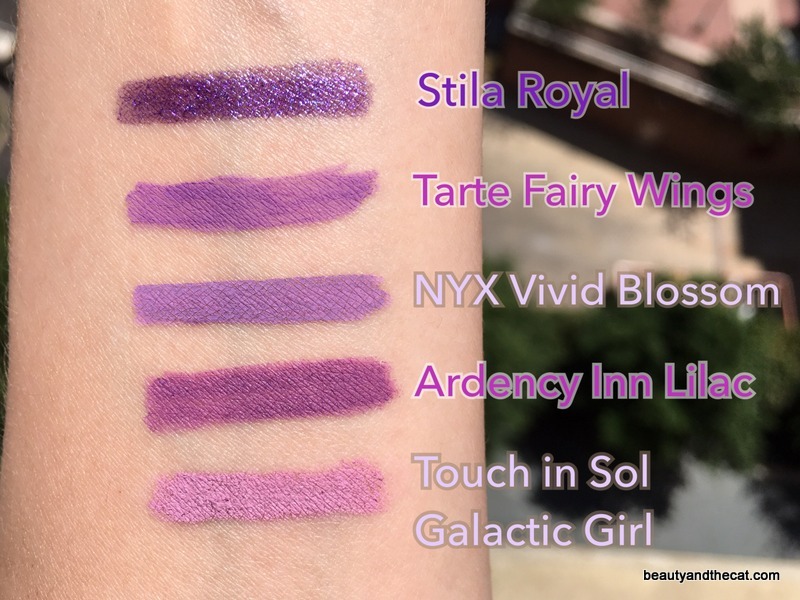 Maybe I will buy the purple one from milani ultra fine instead. I have stila sparkle eyeliner in bora bora and the turquoise from milani, they actually look identical (exact same applicator,color and finish, even twining the packaging part). Anyway, I will definitely get the nyx when I am visiting Harmon or CVS. 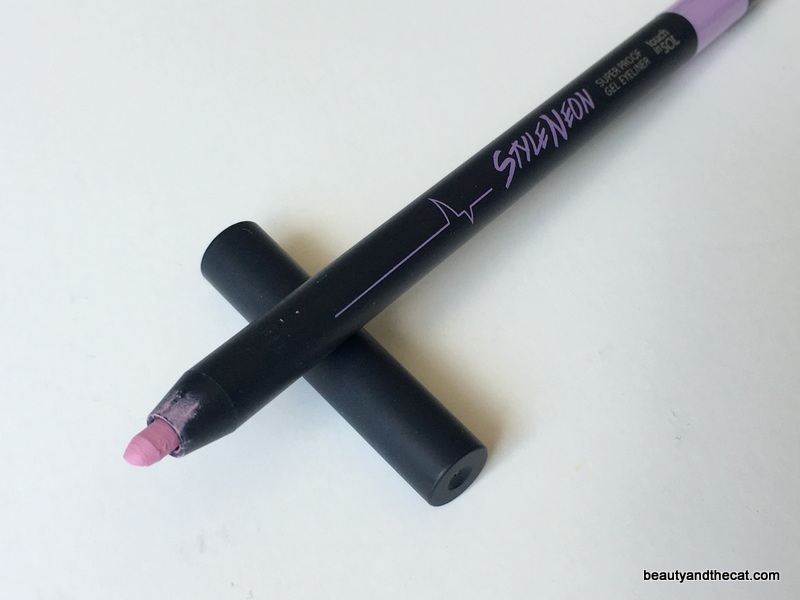 I never thought about paler lilac now I have more excuses to hoard the pretty eye candies(I have been using hot pink and oranges this summer as my pop of color, it kind of helps that a lot of stila shades were discontinued/sent to tjmaxx or marshalls). Hot pink and orange sound fun and summery. 👍 I haven’t had the guts yet. I’m doing blue and purple liners right now. 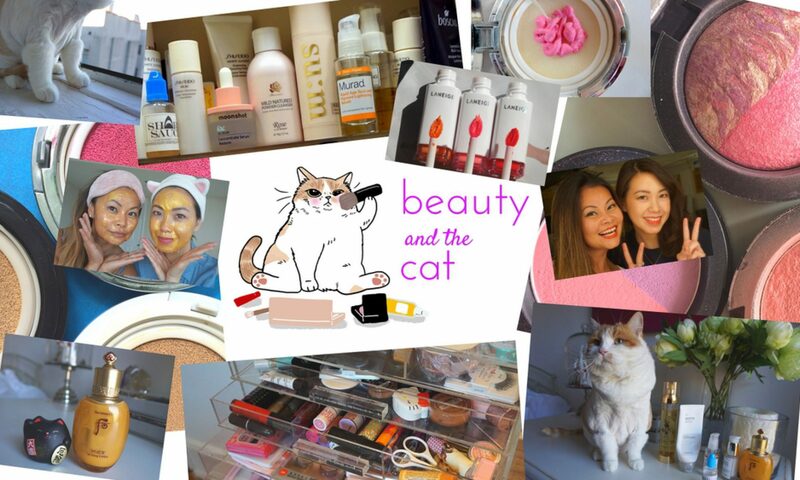 The Milani one is an interesting point. I haven’t tried it, but I remember that at the time the Stila liner came out, all these other brands came out with the same kind, too. Same applicator, same formula. I had ones in MAC and MUFE that were good, too (but Stila had prettier color). It was like the same guy sold them all spirit fingers.